Pressure ulcers are a common malady for bedridden patients, a situation that clinicians have been struggling to improve significantly. There are devices that sense how long a part of a body has been pressed on for too long, beds that deflate and inflate different areas to provide temporary respite, and clinical routines that help to prevent pressure ulcers. 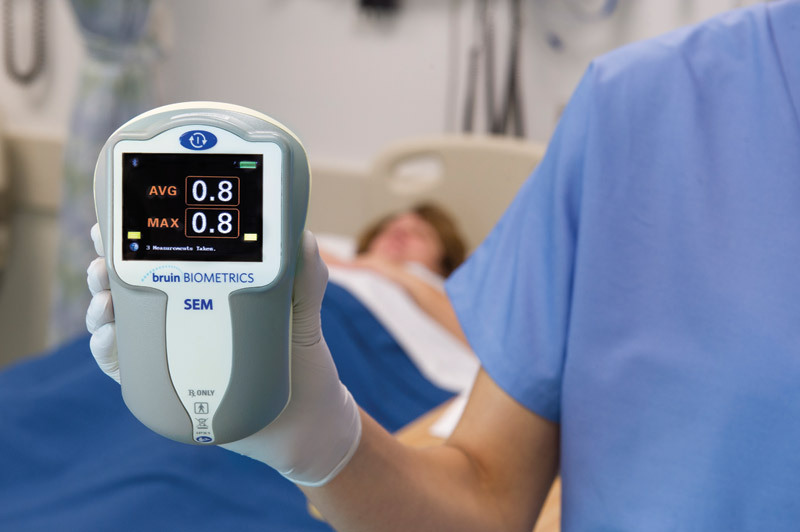 Bruin Biometrics, a company based in Los Angeles, California, landed FDA clearance for the first device to actually objectively evaluate a patient’s proclivity for developing a pressure ulcer in a given part of the body. 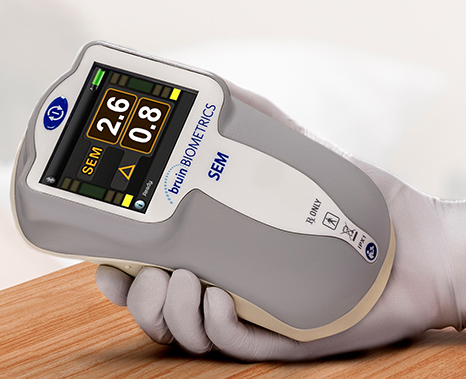 The SEM Scanner wireless handheld device is intended to be used as an adjunct to the standard of care when evaluating patients at an increased risk of getting pressure ulcers. It detects changes in the sub-epidermal moisture, which can indicate localized edema and tissue fluid related inflammation days before visually discernible skin damage. “Having anatomically specific risk information gives nurses valuable advance notice to institute additional preventive treatment tailored to a patient’s unique needs,” in a statement said Dr. Ruth Bryant, a SEM Scanner study investigator, author of “Acute & Chronic Wounds” (2016), certified wound ostomy continence nurse, director of nursing research at Abbott Northwestern Hospital in Minneapolis and president-elect of the Association for the Advancement of Wound Care.